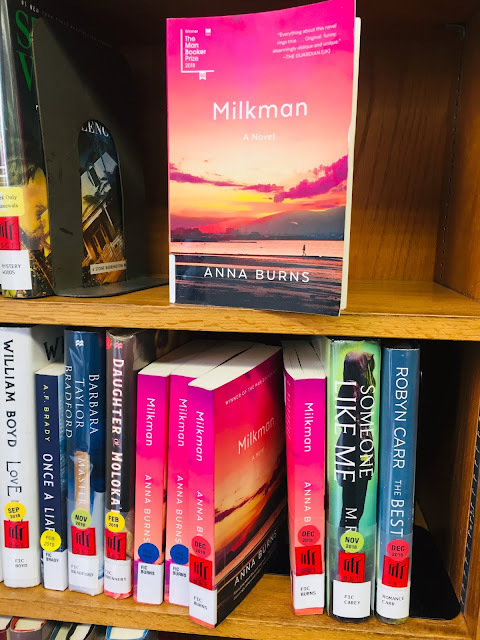 Milkman won the Man Booker Prize for Fiction in England and it won the National Book Critic Award here. My neighborhood library responded appropriately. If my or your library doesn't have the book you want they'll get it for you. You can make your request online if you want. It's fun to order that way if it's midnight and you've just read about a book that excites you.